Listen to this week's radio advertisement! Just open the menu bar and click on "Listen Now" and then on "Station Promo" in the drop-down menu. 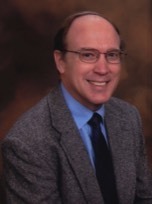 Dr. Richard M. Robinson is the Senior Pastor of Northside Baptist Church in Northglenn, Colorado. Gifted with a clear baritone voice and a refreshing style of delivery, his sermons are well-suited for radio. Pastor Robinson finds his greatest fulfillment in presenting God’s Word, first from the pulpit, and then on the radio. He also enjoys reading and writing, computer graphic design, singing and playing the piano, and seeing beautiful Colorado on his Honda Shadow. Richard and his wife, Donna, have four children and twelve grandchildren. Dr. David S. Armstrong is our teacher’s son-in-law. In addition to being Holy Ground’s announcer, David is an Associate Pastor at Northside Baptist Church as well as the Sunday School Director. 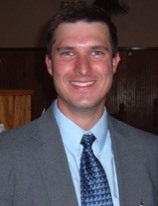 He was also recently appointed the Colorado Director for The Capitol Connection, which organizes and informs local Independent Baptist Pastors of important state legislation effecting churches and religious freedom. David enjoys reading, blogging, computer programming, and outings with his family. David and his wife, Holly, have four children.